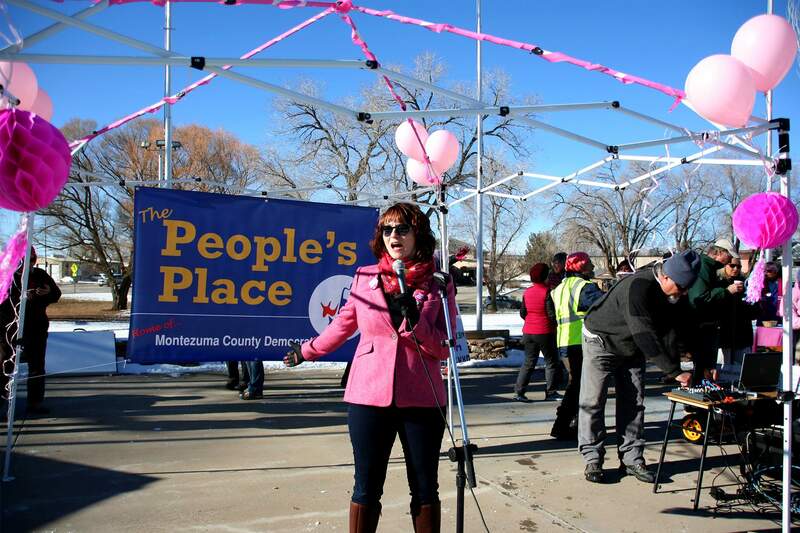 Heidi Brugger leads chants at the Cortez Women’s March for Unity on Saturday. 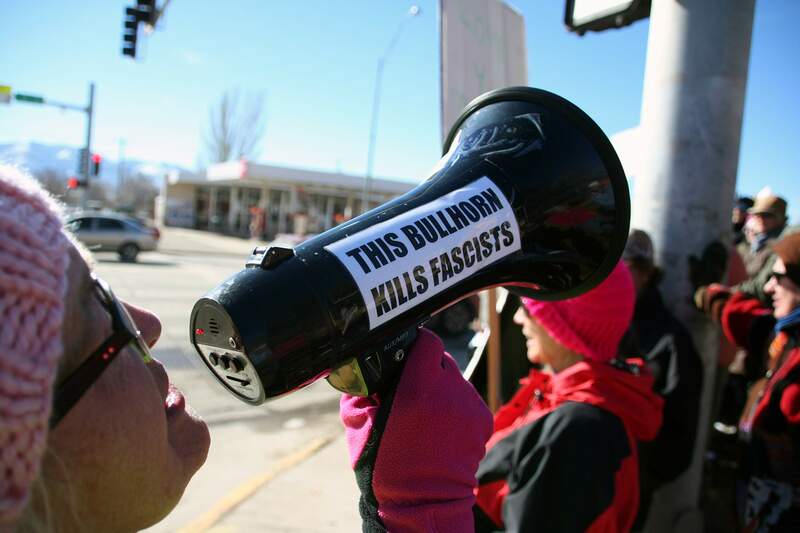 She said that if Woodie Guthrie can have a guitar that kills fascists, she can have a bullhorn that kills fascists. 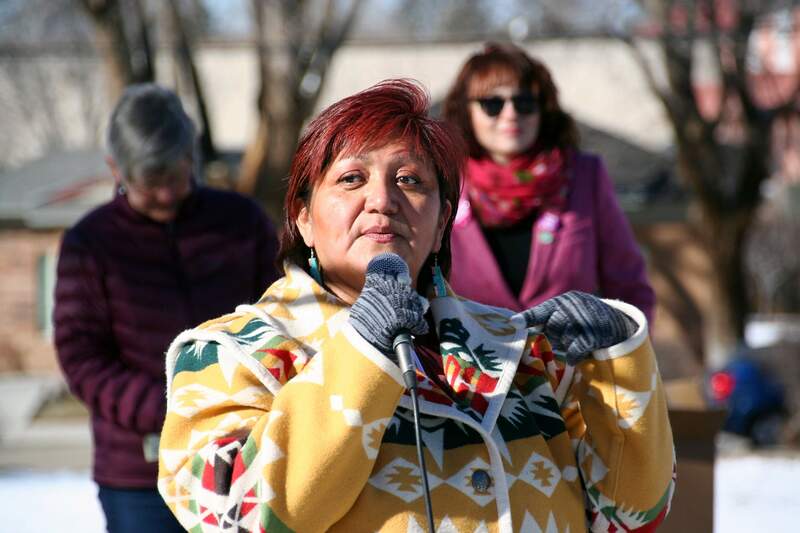 Regina Lopez-Whiteskunk, a member of the Montezuma-Cortez School District RE-1 board, said she, too, has seen the women of the world mistreated. If words from the five female speakers before the march are any indication, those days are numbered. 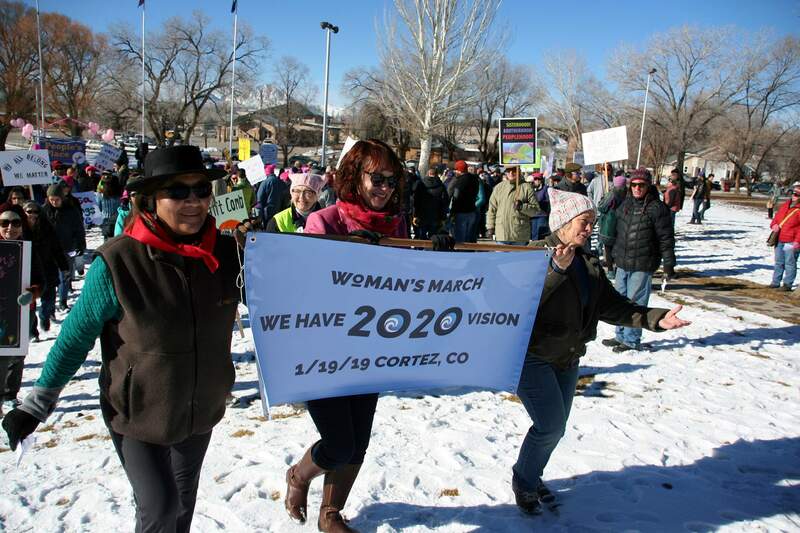 Under the local theme, “We’ve Got 2020 Vision,” about 280 men and women marched around the Cortez City Park block, chanting slogans highlighting the strength of women and support of Rosa Sabido, who has lived in sanctuary at a Mancos church for more than a year. 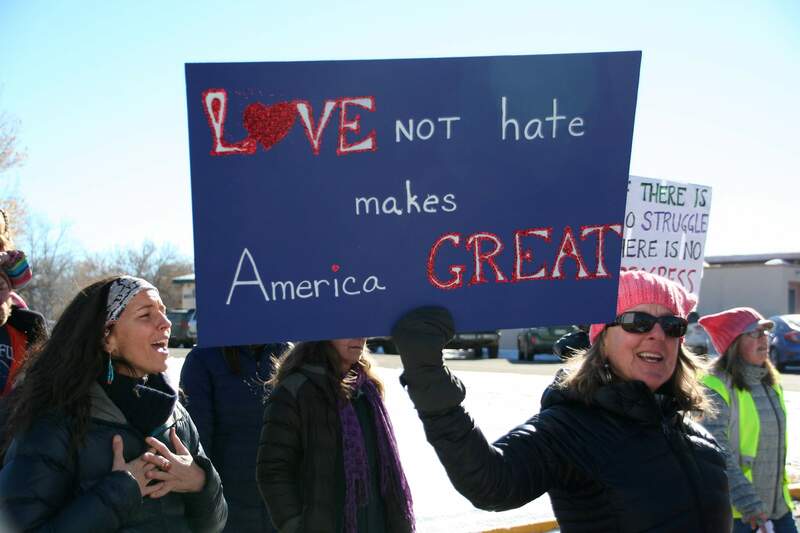 Signs called for the acceptance of immigrants and the protection of natural resources while others criticized Trump and the partial federal government shutdown. 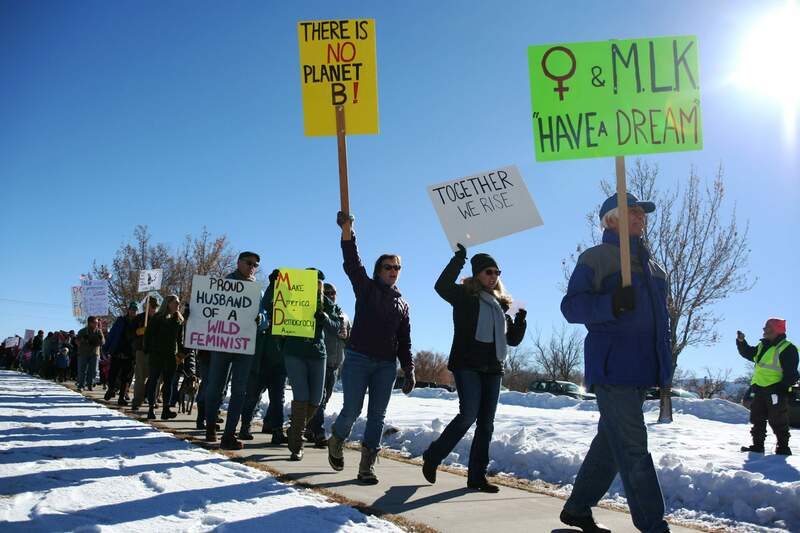 As the long line of marchers walked down the sidewalk along Main Street, by the Colorado Welcome Center, drivers frequently honked to show support. 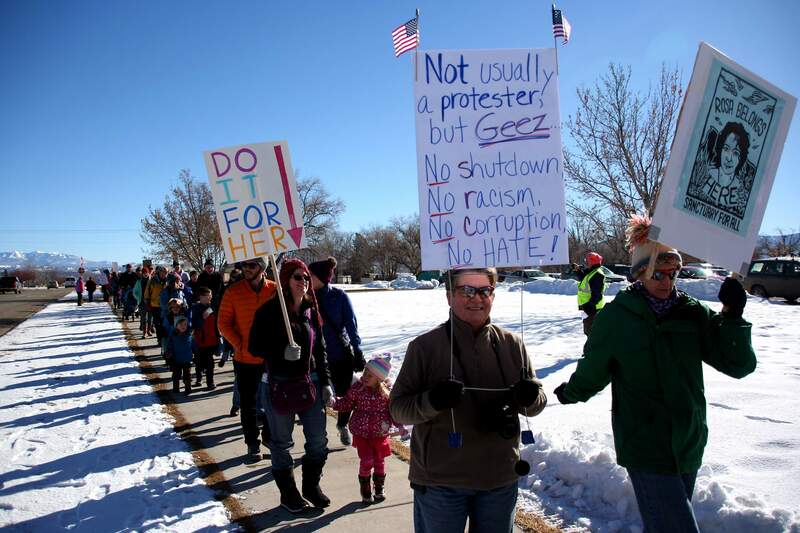 Cortez resident Terry Wells holds a sign denouncing the government shutdown, racism, corruption and hate at the Cortez Women’s March for Unity on Saturday at Cortez City Park. 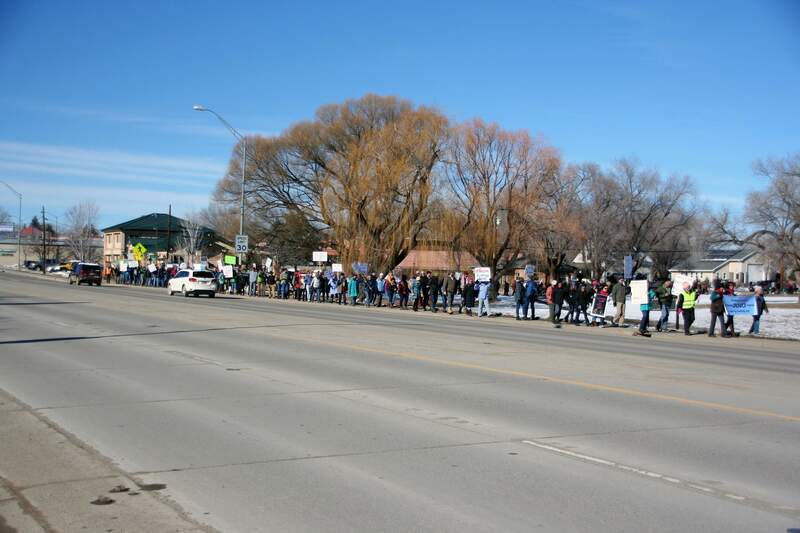 In Durango, about 500 marchers were escorted by police up Main Avenue from College Drive to Buckley Park. 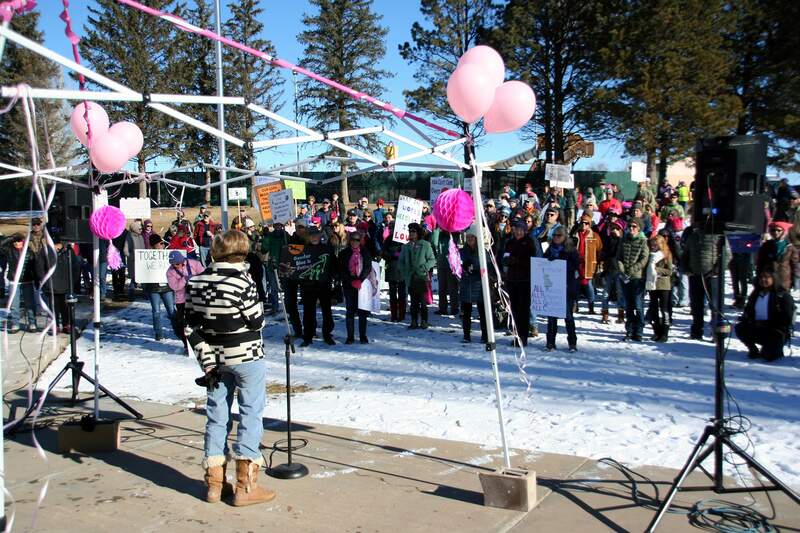 Speakers at Buckley Park spoke about women’s rights and the Trump administration, encouraging the audience of about 100 people to stand up for what they believe in. 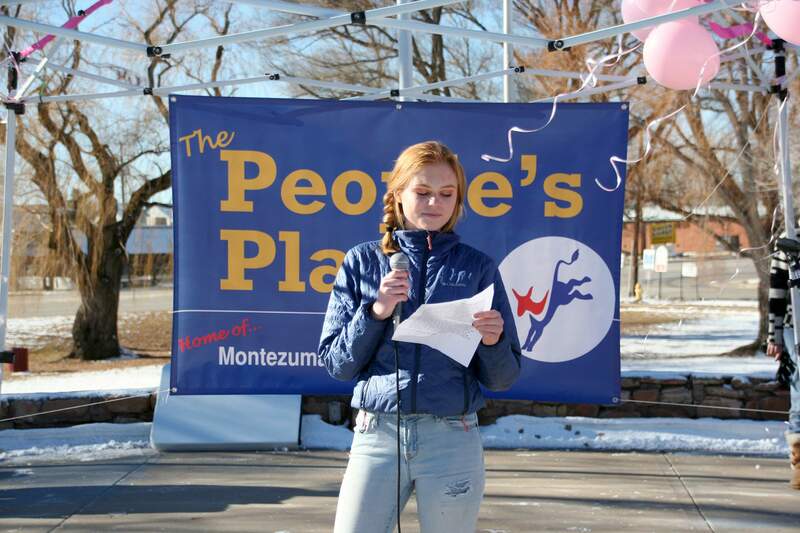 Speakers included emcee Allie Wolfe, a Fort Lewis College student; Katie Young, Planned Parenthood Community Organizer; Ret. 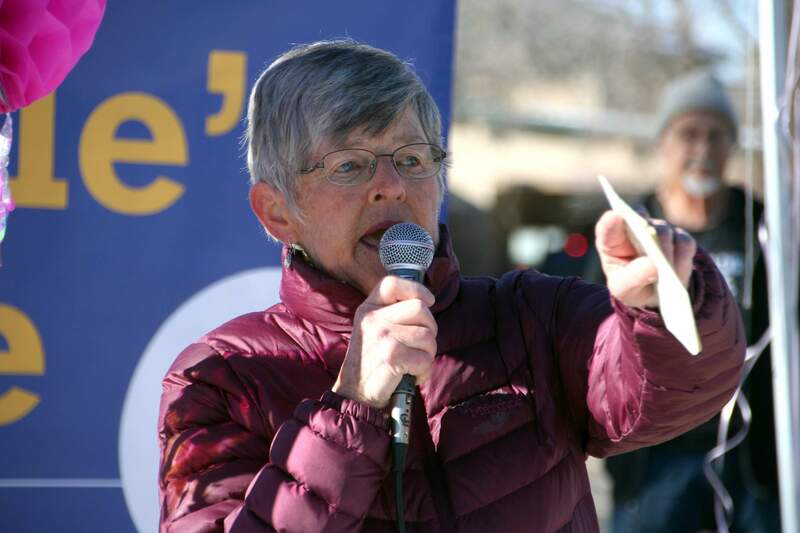 Navy Captain Gail Harris; Barbara McLachlan, Colorado State House Representative; and Katie Kandarian-Morris, Minister, Unitarian Universalist Fellowship of Durango. Each argued against policies enacted by the Trump administration, drawing “boos” from the crowd, and acknowledged the accomplishments and problems women experienced in the past year.